So we've got a horse in our house - a clothes horse. To be fair, Amelia loves clothes but she really loves shoes. Within minutes of waking up in the morning she is requesting shoes, "shoe, shoe, shoe," and pointing towards her dresser. Sometimes I have to remind her that she already has shoes on her feet when she requests shoes. I have to put her shoes out of sight or else I would be putting a new pair on her every five minutes. 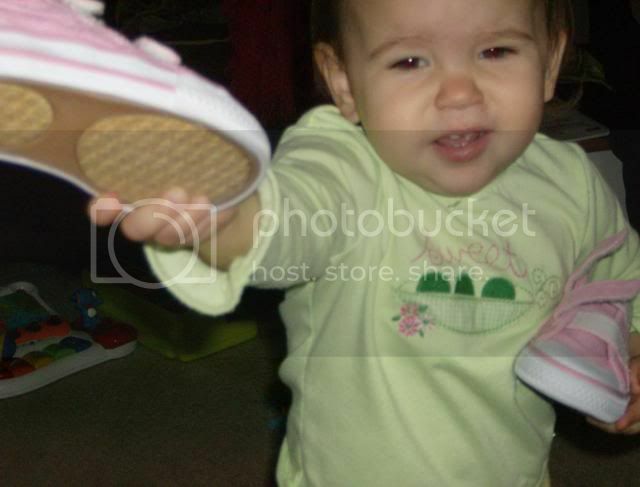 She enjoys Mommy and Daddy's shoes too, and will often try to put those on either her feet or our feet. One morning we went through several pairs of shoes. 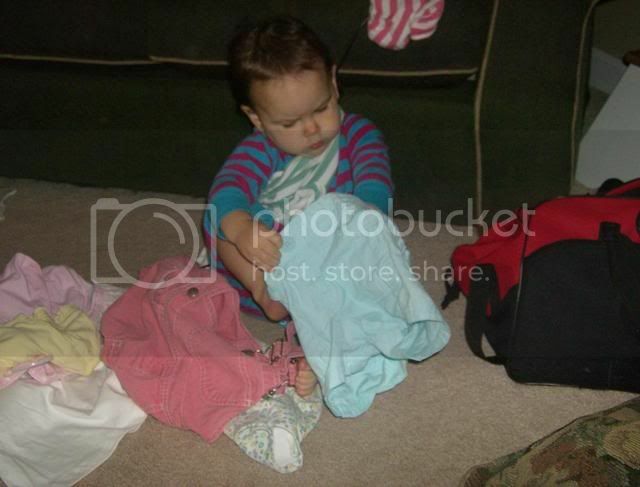 While her love of shoes is nothing new, she has newly discovered clothes. 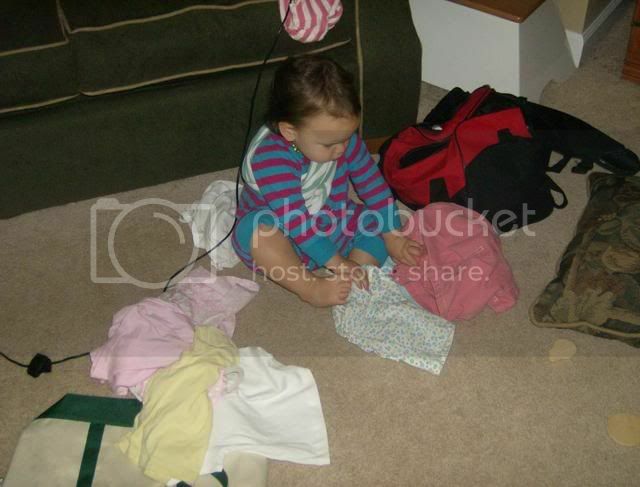 One morning, after an out of town visit, Amelia discovered her duffel bag and started trying to put on the clothes she found - all the clothes she found. Things are going to get interesting once she figures out how to actually get them on and off. I fear I've created a monster! 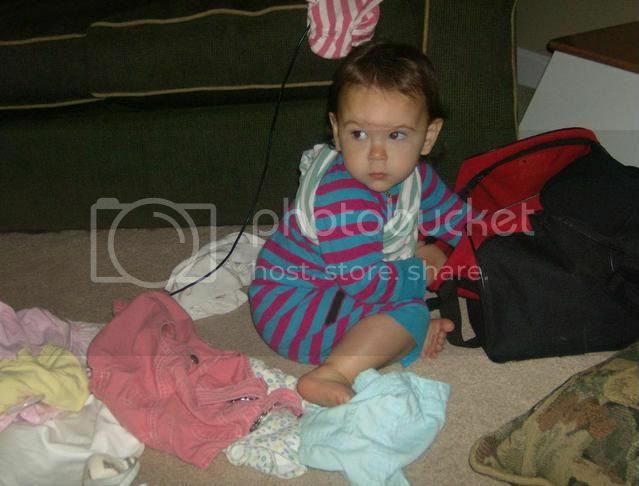 These pictures of Amelia are adorable -- thanks for taking the time to post them! Love it!! It's nice to see pics of Amelia! So cute! PS - Love the new template - the grass is so cheery! What a cutie pie!!! She's taking after her mommy and auntie Catherine.